Expedia has some amazing Drumheller vacation packages. Bundling your bookings is one of the simplest ways to save cash and time — and get your adventure off on the right foot. Earn savings up to C$590* with a package deal on Expedia. Look through our universal database of more than 400 partner airlines and 321,000 worldwide properties. Too many on there to choose from? Don't stress — we'll help you decide! You can postpone your vacation bookings with us because we do not charge cancellation fees for almost all of our reservations. Preparing to go on your Drumheller vacation? Haven't got a clue what to add to your travel program? No need to fret — we'll give you some of our recommendations. World's Largest Dinosaur stands as a proud reminder of the past. Discover why this commemorative structure was erected and better understand the local achievements and heritage. There's a fabulous range of things to do in this destination. If you have an inquiring mind, make your way to Valley Doll Museum. You never know what you'll find out here! Still got time to spare? Whether they're made from steel, brick or wood, bridges are some of the world's most important architectural wonders. Admire the design of Rosedale Suspension Bridge and learn more about its rich and compelling history. The airport probably isn't going to be the best part of your adventure, but there's nothing like the thrill of knowing that your well-earned trip to Drumheller is just a plane ride away! Once the wheels hit the tarmac at Calgary International Airport (YYC), you'll be 65 miles (105 km) from the middle of town. See the Albertosaurus, T. rex, woolly mammoth and ancient reef creatures, make your own fossil cast and take a guided hike through the Badlands. 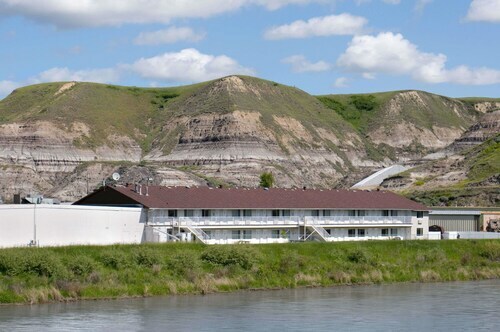 Situated in Drumheller, this eco-friendly hotel is 0.8 mi (1.4 km) from World's Largest Dinosaur and within 3 mi (5 km) of Homestead Antique Museum and Midland Provincial Park. Royal Tyrrell Museum and Drumheller's Little Church are also within 6 mi (10 km). 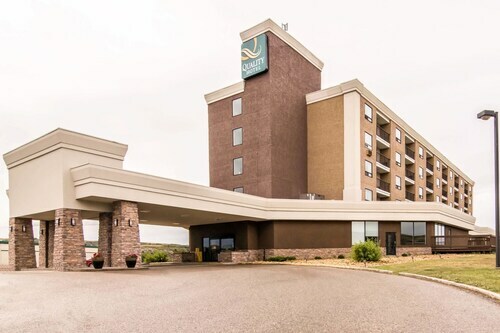 Located in the heart of Drumheller, this eco-friendly hotel is within 1 mi (2 km) of Jurassic Laser Tag & Arcades, Valley Doll Museum, and Low Left Indoor Golf Experience. World's Largest Dinosaur and Homestead Antique Museum are also within 3 mi (5 km). 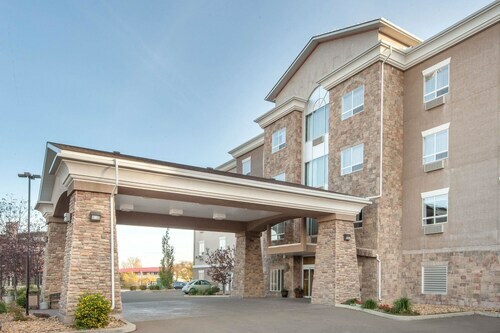 Situated in Drumheller, this eco-friendly hotel is 1 mi (1.6 km) from World's Largest Dinosaur and within 3 mi (5 km) of Canadian Badlands Passion Play and Fossil World Dinosaur Discovery Centre. Midland Provincial Park and Royal Tyrrell Museum are also within 6 mi (10 km). 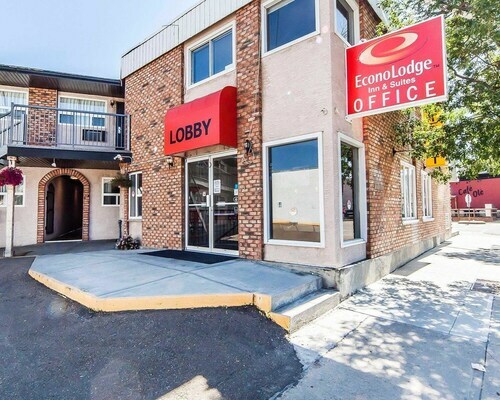 Situated in Drumheller, this motel is within a 15-minute walk of World's Largest Dinosaur, Low Left Indoor Golf Experience, and Valley Doll Museum. Jurassic Laser Tag & Arcades and Homestead Antique Museum are also within 1 mi (2 km). 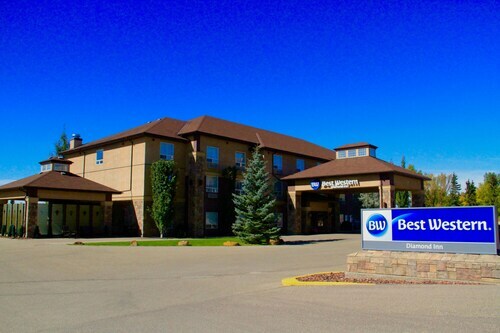 Located in the heart of Drumheller, this hotel is within a 15-minute walk of Low Left Indoor Golf Experience, Valley Doll Museum, and Jurassic Laser Tag & Arcades. World's Largest Dinosaur is 0.8 mi (1.3 km) away. 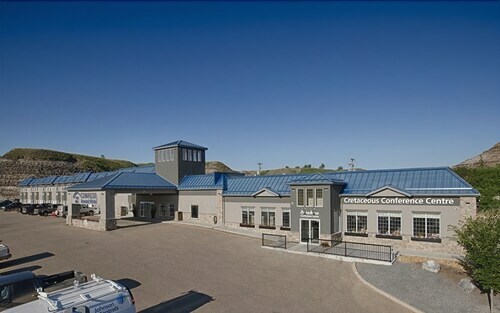 Situated in Drumheller, this motel is within 1 mi (2 km) of Homestead Antique Museum, World's Largest Dinosaur, and Fossil World Dinosaur Discovery Centre. Low Left Indoor Golf Experience and Valley Doll Museum are also within 1 mi (2 km). 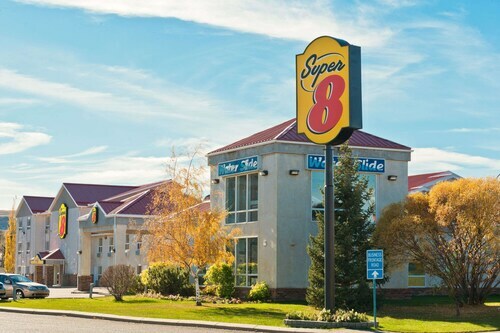 Situated in Three Hills, this hotel is within a 15-minute walk of Three Hills Aquatic Centre and Town Office Of Three Hills. Three Hills Golf Club and Trochu Golf and Country Club are also within 9 mi (15 km). 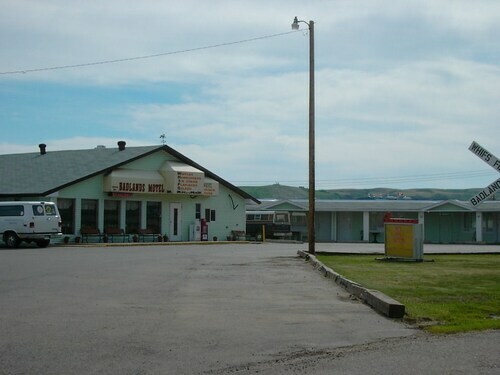 Situated in Drumheller, this motel is steps from Jurassic Laser Tag & Arcades, Valley Doll Museum, and Low Left Indoor Golf Experience. World's Largest Dinosaur and Homestead Antique Museum are also within 2 mi (3 km). Thu., 23 May - Wed., 6 Nov.